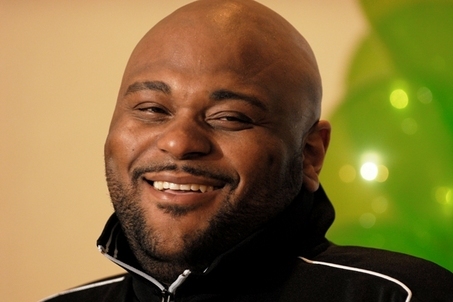 Congrats to Ruben Studdard! The American Idol Season Two Winner got married to Surata Zuri McCants. Ruben who has been called the "Velvet Teddy Bear" was confirmed by his rep to have picked up a marriage license last week. The winner of the second season of the “American Idol” show, Ruben Studdard, got married with Surata Zuri McCants. The wedding was held in a suburb of Birmingham, Alabama, at a Canterbury United Methodist Church. One of the Birmingham News reporters was present at the event. The ceremony, which took place on Saturday, lasted 30 minutes, during which the couple made the vows. Their outfits were impressive: the groom had a black tuxedo and a white tie and the bride wore a white and ivory wedding dress. They received the wedding license 2 days later. Due to the fact that this year the singer is to release an album in Alabama, the spouses will be living there. The winner of the second season of American Idol met his present wife in October 2006, during an appearance at Wal-Mart. Studdard was amazed by her beauty and caught her trace in a toy department. The next step was asking for her telephone number. They soon got involved in a long-lasting relationship.